LG has announced the launch of its G-Slate Android tablet, which will run Google Android's 3.0 Honeycomb software specifically designed for larger screened tablet devices. Purchasing a tablet this year? 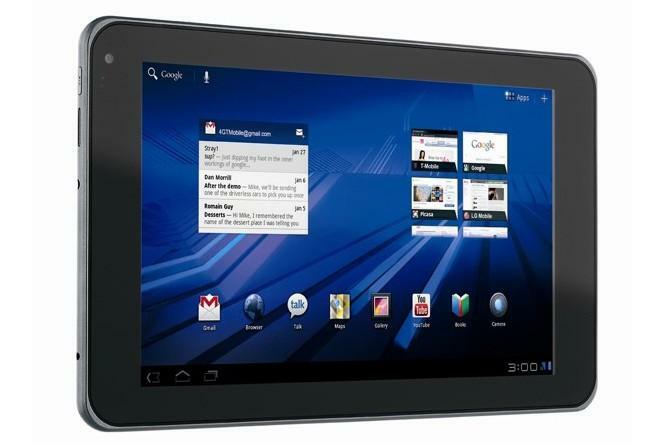 Check out our guide to the best upcoming tablets in 2011. The LG G-Slate tablet has an 8.9in 3D-capable, multi-touch display, will record 3D and full HD video, supports the playback of 720p HD video and will output full 1080p HD content via a HDMI port. It will be powered by a dual-core Nvidia Tegra 2, will offer full Adobe Flash player support, and will come with 32GB of internal memory. The 4G-capable LG G-Slate will also be one of the first tablet devices to feature 3D capabilities including built-in support for 3D graphics. However, unlike the upcoming Nintendo 3DS gaming console and LG's own Optimus 3D Android phone, the G-Slate will require the use of 3D glasses. "We are excited to introduce the T-Mobile G-Slate by LG, which offers consumers an engaging new way to communicate, entertain and stay connected," said Tim O' Brien, vice president of marketing for LG mobile phones. The LG G-Slate will launch exclusively on the T-Mobile network in the US, with pricing and launch dates yet to be revealed. Further information on LG tablet devices, including those slated for an Australian release, is set to be made at the Mobile World Congress (MWC) event in Barcelona on the 14 February.